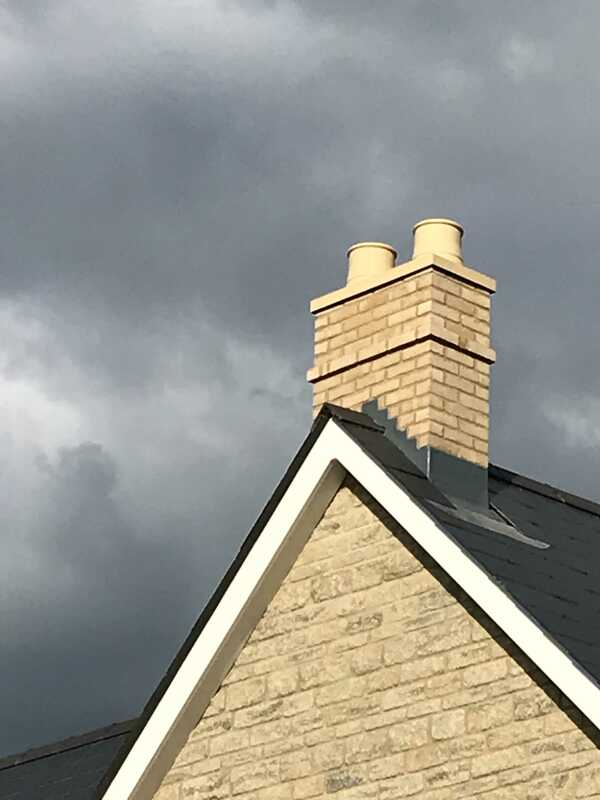 Leading manufacturer of slip-clad & GRP chimneys Brickfab, has recently released a new chimney design. 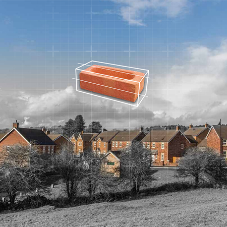 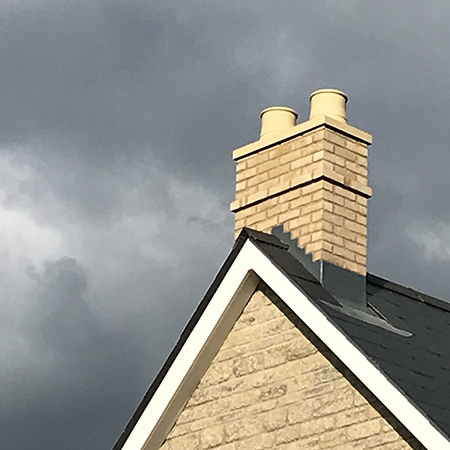 The new design is aimed at those customers wanting the aesthetic of a real brick, stone or rendered chimney combined with the simplicity and speed of installation of its full GRP chimney. 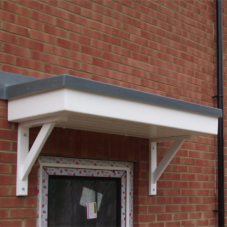 “We extensively researched with installers, site managers and buyers. 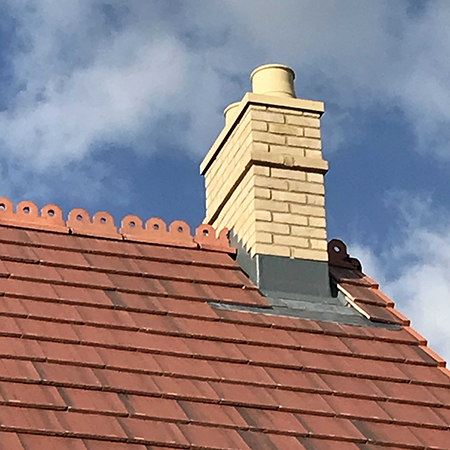 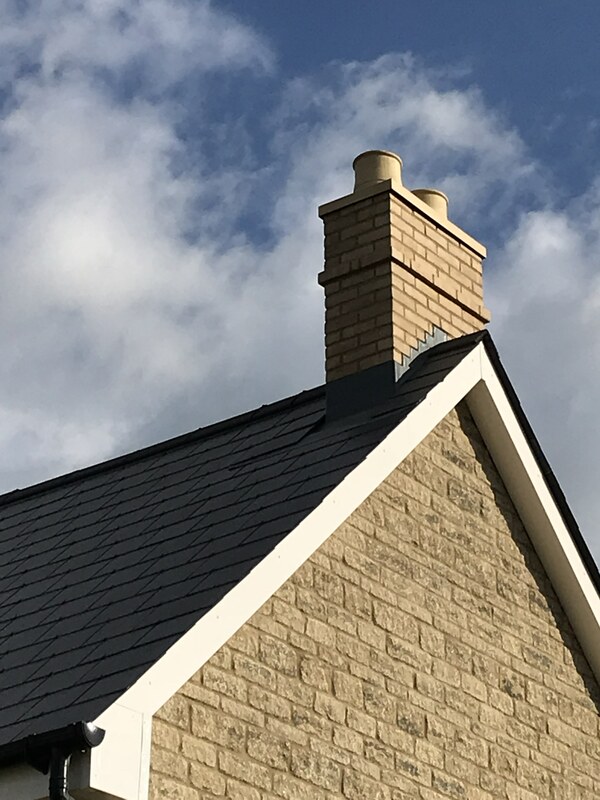 They told us that whilst they recognised the benefits of using a prefabricated chimney, traditionally dressing the base with lead soakers remained a very skilled job. 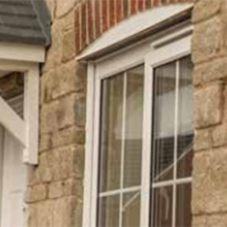 As such there was the cost of the specialist labour as well as the lead. 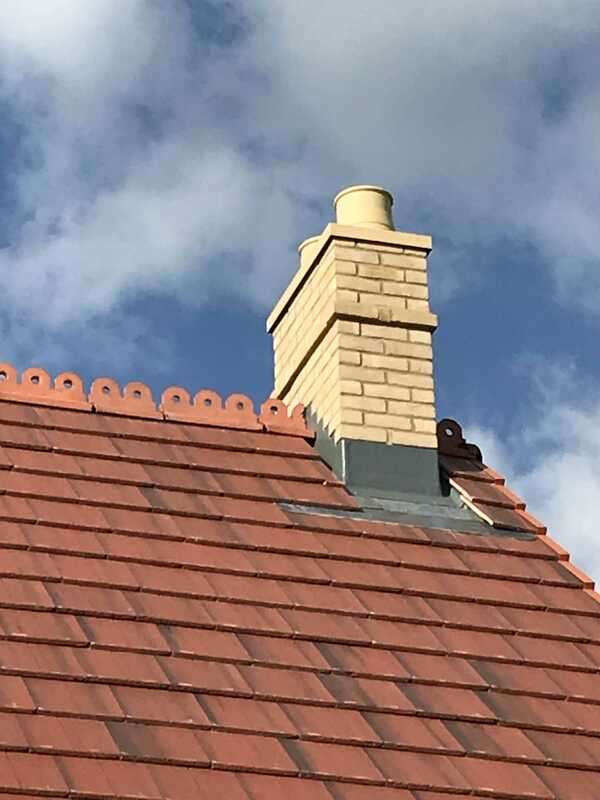 Many of our customers choose a chimney with a leaded finish but as an alternative we have added the option of an EasyFix chimney base. 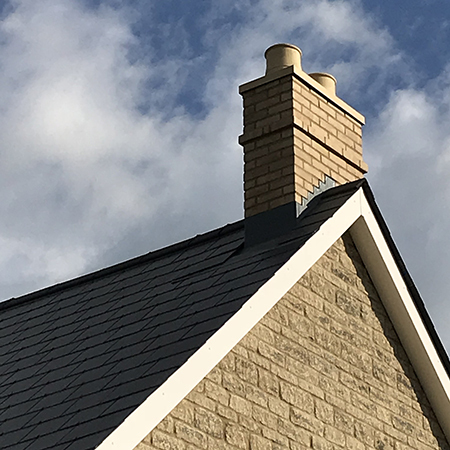 This base is constructed with an integral rain channel, still compatible with our Fast Lead option, a pre-fitted lead apron at the front and back of the chimney, meaning a site can simply install the EasyFix without needing further lead or dressed soakers.